taking on Atletico Madrid in the first game. We've won only once in the last five home games against them in the league, back in 2014/15. 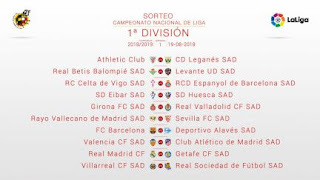 Valencia then have Espanyol away and the city derby against Levante, also away. 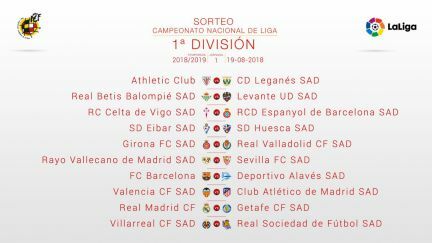 We then have Betis at home, followed by another regional derby away to Villarreal before a tie at home to Celta completes September.